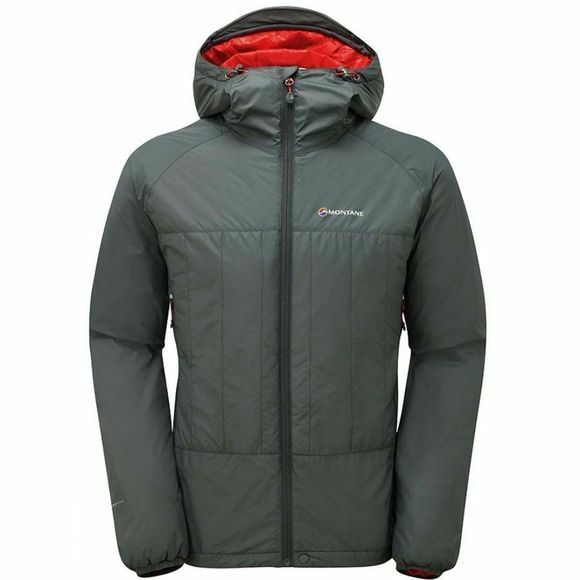 The Men's Prism Jacket from Montane is a lightweight insulated jacket that boasts excellent performance in cold weather conditions. It packs down into its own pocket so you can keep it in your pack and pull it out when you need it on windy summits or for a quick sandwich at the view point. Low profile, elasticated cuffs and an insulated hood that can be adjusted help with heat retention and lightweight fabrics combined with PrimaLoft Silver Eco insulation help keep the wind on the outside and warmth on the inside.